Robin Browning is an established conductor, music-educator and performer. Praised as an “expert musician & conductor” by Sir Charles Mackerras, he is a passionate advocate for music and for the arts in general. Robin began his association with Havant Chamber Orchestra in 2012, stepping in for Peter Craddock at short notice then going on to work regularly with the orchestra during the following two seasons before being appointed Music Director in 2015. Alongside his work with HCO, Robin is Artistic Director of són – Southampton’s new professional orchestra – and Music Director of de Havilland Philharmonic and Essex Youth Orchestra. He enjoys a busy guest-conducting schedule, with recent concerts taking him to Milton Keynes Symphony Orchestra, Oxford University Orchestra and Ernest Read Symphony Orchestra in London. In previous seasons he has conducted the Hallé, Northern Sinfonia and Royal Philharmonic Orchestra, whilst his conducting work abroad has taken him from the St Petersburg Festival Orchestra to the Boise Philharmonic in the USA. Robin recently assisted Paavo Järvi on his Nielsen Symphony Cycle with the Philharmonia Orchestra, and Sakari Oramo for the UK premiere of Esa-Pekka Salonen’s Violin Concerto with the BBC Symphony Orchestra. He has collaborated with soloists including John Lill, Craig Ogden and Raphael Wallfisch, and has released four studio recordings, including many first performances. Having studied with Sir Charles Mackerras, Sian Edwards, and Sir Mark Elder, and taken masterclasses with Ilya Musin, Neeme Järvi and Myung-Whun Chung, Robin is deeply committed to passing on his knowledge to others. 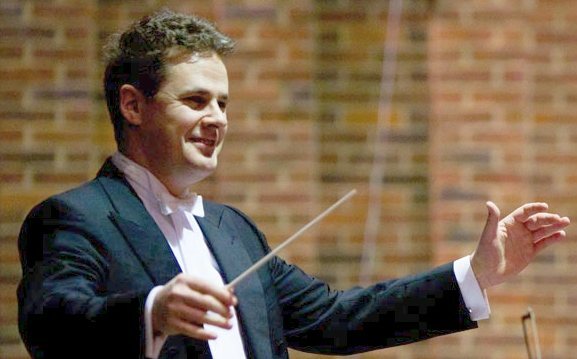 His inspirational teaching is in regular demand, having nurtured the careers of many successful conductors, and he runs the highly-regarded conducting course at the University of Southampton. For more information about Robin Browning, visit his website www.robinbrowning.com.